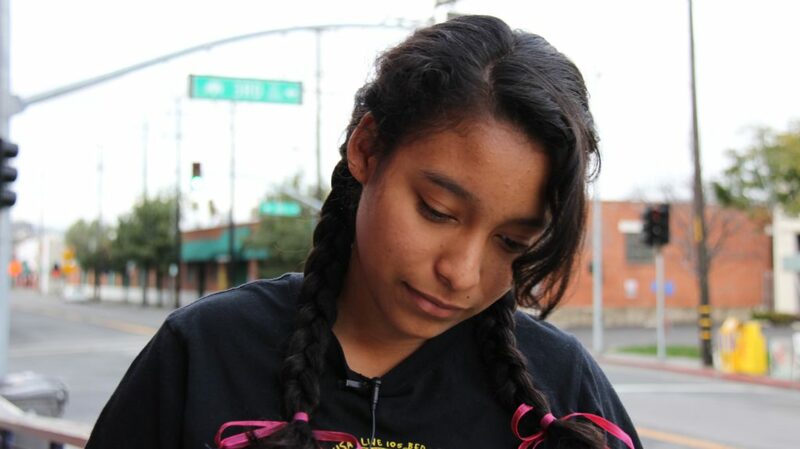 Since the age of two, growing up in Oakland has given me a unique perspective into the experiences of my fellow students that have gone through the ups and downs of the OUSD public school system. My experience in the OUSD system was minimal due to my families living circumstances. We traveled often and returned to Oakland numerous times, and as a result, homeschooling has taken up the majority of my pre-university education. I could say that my first experience in a school setting was the Saturday and weekday evening classes at Temple Emanu-El in Reno, Nevada. My education at that time consisted of Hebrew vocabulary, alphabet, reading the Torah, and of course, watching the prince of Egypt. My official public school debut was in Stockton, California at Oakwood elementary, and it was both a threatening and new experience. There, the principal made me face the wall until class started because I was not supposed to be in my classroom too early. I also got in trouble after school for running after a boy I wanted to punch in the face. Of course, I was the one physically held back by the staff. If they were actually doing their jobs correctly, they would have seen that the boy threw me down beforehand. The inexperienced girl hired by the staff, irritated me because she was paying more attention to her phone than who actually was harming who. This was my first experience of tolerable school lunches, single file lines, recess, PE, and more importantly being in an academic classroom setting. I can still say I am grateful because of my teacher, Mr. Hoffman, who helped me when I needed material that was more challenging. I was also happy that the school was in proximity to the house I was staying at. Rolling out of bed an hour before class, stuffing a bag with lunch, and then walking 10 minutes all occurred with ease. Without the lessons learned from this experience I would not have made it through secondary school with half as much success as I have now. Back to being religious; when homeless in San Jose, my family and I stayed at a church where I spent my time completing Jesus coloring books and reading the bible. Sometime after arriving back in Oakland, my sister enrolled me in a school that employed her in their after school program. In my prior visits before officially beginning school, I got the feel of the Oakland Public Charter School system, my prospective classmates, and the realization that the California Preparatory Academy, my new school, would be moved to Berkeley. From what I witnessed during lunch and after school times the majority of students were African American/Black and Chicano or Latino. My first impression was that they were the most loud and loquacious kids I’ve ever known. After two years, I loved the people there, grades 8th to 11th and all the staff, I could say that the environment was homely. However, my sister and I made the decision to leave because I wasn’t happy with the disciplinary system, my way of transportation, and my uniform that never fit. Cal Prep is not as bad as it seems but it just was not for me. Socially, I loved my Cal Prep family, academically, I needed a change. My 10th grade year began at Maybeck High School, the private independent school that offered me a full scholarship. Also, my first experience with a locker, off-campus lunch, free periods, and managing my own classes! This school year I will be a senior. I look forward to taking a paleontology class, and setting a healthy example for the underclassmen. In Oakland, the main issue I see is that the dropout crisis is not taken as seriously as it should be. Educators tend to prioritize good behavior and test scores, instead of preparing students for life after high school. My sister, who is tremendously ambitious, would always say her high school’s inability to prepare her for college began and ended with the teachers expectations of students and the overshadowing goal to just pass the CAHSEE. From what I know, people drop out because of rash decisions or events; ranging from outbursts in the classroom, suspension and/or expulsion, death of a loved one, bullying, lack of confidence, not having knowledge of their rights, and an overall lack of an environment that is neither safe nor trustworthy. The options for life after school should not come down to prison or death. Post-secondary educations and careers are places where youth should see themselves. Among many socioeconomic disadvantages, I feel the main cause of disconnection between youth and high school graduation is purely psychological, and is strongly affected by the concepts of institutionalized and internalized oppression. If your environment implies or tells you that you cannot graduate, eventually one will internalize this and believe it. This idea is self-defeating, and the environment around a student should not have any implication of this sort. Just as so called ‘undeveloped’ countries see themselves as rich because they are thriving, those who are underprivileged in the schooling systems should see themselves as rigorous scholars because they hold a positive mentality among many other gifts. The ratio of positive staff, supportive attention, and reliable resources to students is another reason for the dropout crisis. The difference between graduating and dropping out can simply depend on whether or not a school has enough guidance counselors, teachers with available office hours, and supplies to take notes and write papers with. Often times, a big factor of accumulating detentions can move a student closer to expulsion. This happens because some schools have a discipline hierarchy, that sets people up to fail. Students and school staff need to show more concern, via positive actions, for the post-secondary life of all students. Often times schooling systems choose favorites based on who complies easily and has the lesser tendency to challenge authority within the school. This idea of labeling students as problem children needs to be expunged. Students often have problems with schools’ disciplinary systems because often times a feeling of embarrassment, shame or being unwanted comes about. A fair question is why would anyone want to be in a place where they are shamed or unwanted? Personally, I’ve once felt this, when a teacher looked at me and said aloud to the class “You should know this!” Immediately, I was embarrassed because I thought I was stupid, how could I not know this? However, my sister told me that “a student fails because their teacher has failed them”. Though, it is not always true for every teacher, I feel it is a common classroom problem. Culturally aware, emotionally stable, and knowing where their students stand are qualities every educator needs. Students don’t want people who at the very least wouldn’t try to relate to them. All parties should come into the classroom with the expectation to learn something, particularly educators. And if a teacher should come into a classroom with a list of things to change; the students should be the ones to tell him/her what needs amending and the conversation should be mutual. Often times during the summer I get lazy and procrastinate, which is why I think a solution to the dropout crisis is to keep youth active all year round. Weather through internships, summer classes, sports clubs, book clubs, dancing or visiting new places, all are valid avenues to learn from. I went to a summer program, Aim High, in Oakland as a student for two summers. This program helped me break my shell, stay active, and prepare for public school. In 2010 I came back as a volunteer, and then a volunteer coordinator, having the same amount of stimulation and fun as I did before becoming an alumna. From behind my desk to working the front desk, I learned more every year. In short, leadership opportunities are necessary, after starting with the right basics students should be able to guide themselves. No matter the situation, everyone has a right to education; which is why I believe there should always be options when it comes to a student dropping out. Students should be tenacious enough to hop right back into a learning center, and be supported all the way around to do so. If a school kicks out a student, they should be willing to provide resources for jobs, rehabilitation, credit recovery, and other schooling options. Every student can take hold of their education, giving up should never be an option, nor should the school system be allowed to give up on them. For example, a way that I have received an education outside of the classroom is through my community work with I-SEEED and HOPE Collaborative. As a participant in the Youth Action Board I have had numerous opportunities to gain leadership. Involvement with the Institute for Sustainable Economic, Educational and Environmental Design (I-SEEED), has lead to my enrollment in an early college model program. In this program I completed a university level course titled Race in The City. By analyzing materials from Beverly Daniel Tatum, Paulo Freire, Antwi A. Akom and Marc Bamuthi Joseph, I had the chance to learn and breakdown many concepts. In the class we studied the different forms of racism, oppression, eco-apartheid and resistance.